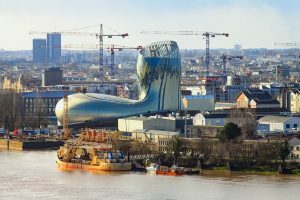 The City of Wine in Bordeaux, located on the left bank of the Garonne river, is a museum and exhibition centre on the theme of wine, wine industry and wine culture. 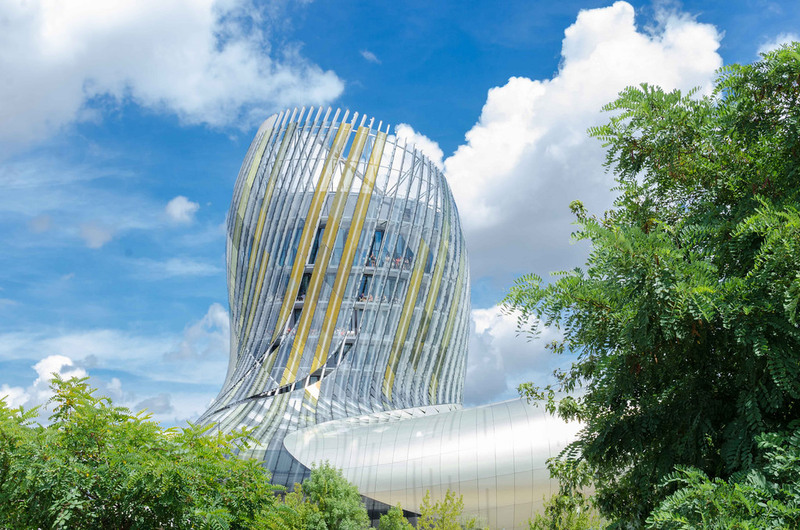 Opened in 2016, the City of Wine in Bordeaux represents a cultural and touristic centre entirely dedicated to wine: this building, half a museum and half a theme park, wants to defend and spread the cultural heritage and value of wine. You can easily reach the building by foot or by tramway (line B) and enjoy all the caves, the ateliers and the exhibitions within the City. Located in the district of Bassin à Flot, where the forges of the port were situated, it has been built with an impressive ‘round’ architecture, which makes the building something unique and iconic. The silhouette looks like a vine stock, to recall both the swirl of the Garonne and the wine which is poured inside the glass. Panels of aluminium and glass cover the entire façade until the top of the tower (55 metres). 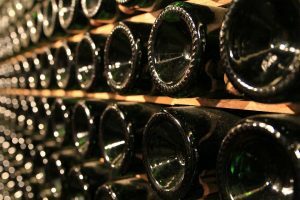 In the City of Wine, you can visit a library-cellar with more than 9,000 bottles from 88 countries (you can taste some of these wines in specific areas); then, you can enjoy some ateliers and visit temporary exhibitions. Once you reach the second floor, you can visit the permanent exhibition: a journey across the ages and the places of wine, which will teach the history and the culture of wine. On the top of the building, you can enjoy the panoramic restaurant Le 7 and a breathtaking view from the Belvedere, one of the highest points in town.